As the New York State Government debates the Cannabis Regulation and Tax Act that would legalize Adult-Use marijuana, many supporters point to the economic impacts and potential tax revenue. We can look to other states to provide a base level expectation but realize that New York is unique in commercial activity and culture which could lead to an adult-use marijuana market that shatters expectations. In 2012, Colorado and Washington became the first two U.S. states to legalize the recreational use of cannabis.Since then nearly every state in America has passed some form of legislation relaxing the restrictions on cannabis and cannabis derived products. This includes measures allowing medical marijuana, decriminalization, industrial hemp, cannabidiol, and adult use recreational marijuana. While the medical benefits, effects, and uses are still being studied, cannabis has had an undeniable effect on state and national economies. The introduction of legalized cannabis has sparked the creation of billion-dollar industries in states. There’s a reason cannabis has been dubbed the Green Gold Rush. Last year in Colorado, medical and recreational sales topped at $1.1 billion, marking a five-fold increase since 2014. Of that, Colorado state collected $263.7 million in tax revenue from the state’s 1,582 active retail marijuana businesses under 38,868 occupational marijuana licenses. According to the state’s annual report, retail marijuana sales have continued to increase steadily, while medical marijuana sales have remained constant at around $10 million in state revenue. The legal cannabis industry presents the possibility of opportunities for business owners, investors, farmers, processors, laborers, among others to benefit from cannabis’ growing promise to vitalize state and local economies. The proposed New York cannabis regulations would allow for a diverse industry with product manufacturers, distributors, retailers, and growers all occupying market niches. Cannabis industry projections predict the cannabis industry’s growth to amount to total market sales exceeding $26.3 billion by 2025 and the possibility of nearly 300,000 jobs by 2020 in the United States. Currently, the cannabis industry is one of the fastest growing job markets in the country and many of these are high paying and technical positions. This emergent market would touch nearly every corner of the state—users would no longer fear prosecution, a multimillion-dollar market would allow entrepreneurs to enter the market, and for New York State to collect taxes and create programs that benefit all New Yorkers. Based on Colorado’s market, New York State’s adult-use cannabis market would be an approximate 3.725 million users in New Yorkers out of the 14.9 million adult residents of the state. Based on that estimate, New Yorkers would consume an approximate 734 tons of cannabis per year. This could result in over a billion-dollar total industry across the state. While the regulatory structures to support this industry are being built, it’s an undeniable truth that cannabis will shift the economic and agricultural landscape of New York State. Recently, Governor Cuomo released language that would regulate and tax adult use marijuana, overhaul the medical marijuana program, and change the way hemp is regulated. Central to the proposed regulations is the creation of the state Office of Cannabis Management (OCM), which will control the regulation of medical, recreational, and hemp cannabis. The Executive Director of this office will be empowered to build the regulatory structure for the New York these three markets. The primary role of the Executive Director of the OCM will be to control the issuance of licenses and permits. In the hemp cannabis market, these licenses include the ability to grow and extract hemp cannabis. What are the changes to hemp? · Hemp cannabis: delta-9 THC concentration would be set out and regulated by the OCM for cannabinoid production i.e. any female plants grown for CBD. · Industrial hemp: hemp regulated by agriculture and markets and grown for industrial uses including; grain, fiber and other products not used for cannabinoid products. What would the licensing requirements for production intended for consumption be? A. Persons growing, processing, extracting, and/or manufacturing hemp cannabis or producing hemp cannabis products distributed, sold, or marketed for cannabinoid content and used or intended for human or animal consumption or use, shall be required to obtain licenses for growing and extraction. B. Grower’s licenses authorize the licensee’s acquisition, possession, cultivation, and sale of hemp cannabis grown or used for its cannabinoid content on the licensed premises of the grower. a. In addition to having a license, the regulations govern that pesticides used by rowers must be registered by the New York State department of environmental conservation or that specifically meet the U.S. Environmental Protection Agency registration exemption criterial for minimum risk. C. Extractor’s licenses authorize the licensee’s acquisition, possession, extraction and manufacture of hemp from a licensed cannabinoid grower for the processing of hemp or the production of hemp products marketed, distributed or sold for cannabinoid content and used or intended for human or animal consumption. a. In addition to having a license, all hemp cannabis products shall be extracted and manufactured in accordance with cGMP, pursuant to Part 111 of Title 21 of the Code of Federal Regulations. What would the labeling requirements be? We are encouraged and excited about the prospect of a regulated adult-use cannabis industry in New York State, especially as the State is looking to include small growers. We share concerns about moving hemp into the Office of Cannabis Management as we believe the protections that come with hemp being considered an agricultural crop is important. We have engaged with our legislators and Governor’s office to ensure that protections given under the Agricultural Districts Law are extended to hemp so that municipalities are not allowed to prevent farmers from growing hemp. This proposed legislation is a key step for New York to develop a thriving cannabis industry to help farmers, small businesses, and entrepreneurs across the state. Another concern we have shared is that product manufactures, using raw ingredients produced under cGMP, should only be required to adhere to regulations existing for their specific products. We implore all elected representatives to support the legislation and craft regulations that will pay specific attention to small businesses and farms. This past week, The NYS Department of Agriculture and Markets opened up applications for both growers and processors of CBD and other cannabinoids derived from industrial hemp. They also published an updated “Research Partner Agreement” for processors which outlines the rules and regulations needed to conduct research on industrial hemp. This included clear guidelines for sourcing, processing, and selling products with CBD or cannabinoids. Below you will find our analysis and opinion on these new regulations and how we see this shaping the New York hemp industry. All analysis and opinions are our own and do not necessarily reflect the views of our partner farmers or clients. Further, this is an informational document with a broad overview, detailed analysis is provided to our farmers and clients. The new research agreement included many new changes to the NYS pilot program and vary in importance depending on your research or business within the program. Below are some of the changes that stood out to us and we feel will have the greatest and most far reaching impacts. 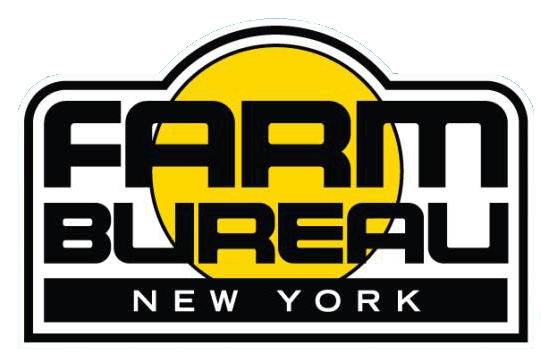 We implore you to read the new agreement yourself, located on the NYS Department of Agriculture and Markets website. 1. All CBD products produced or market in NYS must adhere to FDA Dietary Supplement regulations which includes cGMP facility certification. Pre-approved products are pills, capsules, tablets, tinctures, droplets or elixir, chewables, or isolate powders. 2. All processing of CBD must be sourced from New York hemp producers. 3. Children are prohibited from being sold or marketed CBD products. 4. Food, vape, or smoke-able products containing CBD are prohibited. 5. All hemp and derived products will be compliant with less than 0.3% delta-9 THC content. 6. Any individual with a felony or misdemeanor drug related conviction may not be allowed to participate in the program. While the updated regulations are specifically tied to the research pilot program, it’s hard to imagine these rules not being in effect for 2019. Even though the 2018 Farm Bill would eliminate the need for pilot state research programs, states would be required to submit a plan for regulation of an industrial hemp market and it would make sense for some, if not all, of these changes to be included. Specifically, the treatment of CBD products as a dietary supplement seems to make clear the intent of NYS to go along with any future federal regulations on CBD. However, currently the Food and Drug Administration (FDA) does not recognize CBD as a dietary supplement but have recognized a single drug, Epidiolex, as being an approved drug. The requirements for CBD products to be processed and manufactured according the FDA standards on dietary supplements we believe is a way for NYS to ensure safe CBD products. The implementation of such standards is costly, onerous, and will exclude the majority of small product manufactures from producing CBD products. In our analysis, the best positioned companies would be those with a cGMP facility that can process, manufacture, and package CBD products to be sold under other brands. This raises our concern of a tightly controlled marketplace where a handful of businesses would be able to set the prices paid to farmers and to consumers. Without the ability of small-scale producers or farmers to sell their own products, the market may experience lower diversity, higher prices, and lower accessibility. While we advocate for safety standards for any hemp derived products, we fail to see the logic in regulating specific products (those high in cannabinoids) so tightly. With no known toxicity, dependence, or psychoactive properties, CBD should be treated like any other ingredient that promotes general wellness. A small bakery adding protein powder or vitamin C to their muffins would not need to do so in a cGMP facility. In our opinion, these regulations will make it too expensive for any small businesses to produce their own products with CBD or other cannabinoids in them. As the hemp industry in New York State begins to take off, we would caution against regulations that go further than just providing for a safe market but prohibit certain products and throw up significant barriers to entry for small businesses. The exclusion of vaping or smoke-able products comes when both are extremely popular and will allow for out-of-state products to take their place on the shelves. Some consumers want to vape or smoke hemp to receive the full cannabinoid and terpene profiles and the state should not prohibit them while allowing for similar nicotine-based products with known toxicity and addictive properties. Further, individuals who have been convicted of marijuana possession should not be excluded from participating in the industrial hemp market, especially as the adult use of marijuana is being proposed by the state legislature. We are hopeful that as the NYS Legislature crafts legislation for both industrial hemp and marijuana they do not include regulations that may serve to handicap small businesses and farmers from selling their products. New York has an excellent opportunity to support small businesses, farmers, and economically disadvantaged communities through the new cannabis industries, hemp and adult use marijuana. To do so will require regulations that take care to include small producers while ensuring consumer safety, and we are confident our elected representatives will do just that. The past week has seen developments on the federal level pertaining to industrial hemp and it’s control under the Controlled Substances Act (CSA). First, the Drug Enforcement Agency (DEA) announced a scheduling action for FDA approved drug Epidiolex, marketed by GW Pharmaceuticals. Second, Congress failed to agree on the 2018 Agricultural Act (known as the Farm Bill) before expiration of the 2014 Farm Bill on today, September 30th. Both events have serious implications for the United States hemp industry and hemp farmers. We monitor any such developments diligently and are issuing the following analysis for public release. In June, the Food and Drug Administration approved Epidiolex, a drug containing Canabidiol (CBD) to treat Lennox-Gastaut and Dravet syndom, two rare and severe forms of epilepsy. The company who markets Epidiolex, GW Pharmacuticals, is based in London and imports the ingredients and/or final drug into the United States. The DEA was then required to re-evaluate Epidiolex as a controlled substance under the CSA because it is imported and is legally recognized as having medical use in treatment. Currently, non-exempt cannabis products are considered schedule 1 and by definition have no medical use. Since the FDA found medical uses for Epidiolex and the Department of Health and Human Services (HHS) found a very low potential for abuse, the DEA decided to place Epdiolex (and only Epdiolex) in schedule V, the least controlled schedule. This does not apply to any other CBD products. This action is significant to the broad hemp and CBD industry because; 1) The HHS has recognized a cannabis-based drug including CBD to have low abuse potential. 2) The DEA has continued their stance that they are required under treaty obligations (Single Convention on Narcotic Drugs) to control the importation, sale, and production of all cannabis. 3) Using this reasoning, the DEA will be confronted with a dilemma when controlling non-approved CBD products if a new Farm Bill includes the Industrial Hemp Farming Act. 4) The DEA is not considering recent findings from the World Health Organization on CBD nor are they considering any studies to more broadly re-schedule CBD products. This week we also learned that the 2018 Farm Bill would not pass before the expiring of the 2014 Farm Bill on Sunday, September 30th. Partisan bickering and politics have now delayed the single most consequential hemp legislation since the 1937 Marihuana Tax Act. This is shameful and all elected officials will now need to face their constituents and explain why they were unable to advance not only hemp farming but our massive agricultural industries. In 2014, the hemp industry received a gift in the form of research. Section 7606 of the 2014 Farm Bill authorized states to establish a program to study the cultivation, processing, and marketing of industrial hemp. 40 states have established such programs and have begun production. The hemp industry and specifically the CBD market has flourished under these research programs. This year, Senator Mitch McConnell introduced a provision into the 2018 Farm Bill that would remove the guise of research and authorize commercial production and marketing of industrial hemp along with removing hemp (defined as cannabis with less than 0.3% THC) from schedule 1 of the CSA. As discussed above, the DEA uses the Single Convention on Narcotics as reasoning to continue controlling all cannabis. We do not believe the hemp provision would completely remove hemp from being controlled under the CSA, instead resulting in a similar re-scheduling action. Nonetheless, the passage of a Farm Bill with the Industrial Hemp Farming Act provision would provide for a tremendous boost of confidence for consumers, businesses, financial institutions, and farmers to engage in the hemp industry. It will allow farmers access to crop insurance and open more markets for the sale of industrial hemp. Businesses that work with hemp will have easier access to funding and merchant services. Overall, we expect an explosion in all aspects of the global hemp market. The failure of congress, and specifically the House of Representatives to negotiate a Farm Bill before the September 30th deadline is a kick in the gut for farmers who have already experienced a sharp drop in commodity prices. It will now be until November before the 2018 Farm Bill can possibly be voted on and some representatives are indicating a desire to pass the bill after elections. While the hemp research programs do not expire nor have a sunset clause and the industry will be continually protected by Section 7606, farmers and businesses are making plans for 2019 and require confidence in regulations and markets. What congress has done in their failure is inexcusable. The Senate was able to pass bi-partisan Farm Bill and their counterparts in the House of Representatives would not accept this nor could they work towards a compromised bill. We do understand the nuances and complicated nature of such large legislation and the fierce battles over SNAP, crop payments, and the Conservation Stewardship Program. We also understand that these issues had four years to be sorted out. There are no excuses good enough to cover for this utter failure on the part of our elected representatives. We are hopeful for a November passage but extremely disappointed. Please reach out to your congressional representatives and ask for a swift passing of the 2018 Farm Bill.